The Bevan21 is one of our streamlined aerodynamic truck bodies. It is able to reduce fuel bills by up to 15% (independent test carried out by Commercial Motor) and boosts mpg performance on multi-drop runs. In a nutshell, our streamlined vehicles minimise turbulence, reduce wind drag and lower fuel consumption. This, combined with weight saving measures, benefits and aids fuel economy. The Bevan21’s innovative and aerodynamic shape is durable whilst it generates significant fuel savings, the vehicle doesn’t lose any practical space. Available from 3.5 to 32 tonnes, our Bevan21 aerodynamic truck bodies can be specified as a GRP box or curtainsider. Our standard box bodies are now built using captive extrusions and have no external fixings, improving the aesthetics of the build and reducing wind drag and fuel consumption. 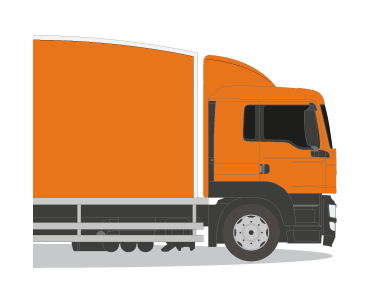 Curtainsiders can be specified as buckleless or having hidden buckles, these again reduce the drag and improve the vehicle’s overall image and quality. The Bevan21 reduces wind resistance while maintaining cubic load volumes, with features including a curved roof and a specially moulded air deflector and cab collar. The combination of the curved roof, collars, spoilers and side skirts help reduce diesel usage and aid fuel economy. Dependant on the customer’s needs, the curved roof can be tailored to a particular design or overall vehicle height. We also ensure that our cab tops are fitted to the correct height in relation to the body, further reducing wind drag. By offering ultra lightweight panels and extrusions with no external fixings, our proactive sales and design team can help to further reduce your carbon footprint and fuel consumption. Our aerodynamic truck bodies have helped many commercial vehicle operators to achieve their carbon reduction targets. To find out more about how our Bevan21 can offer you significant fuel savings and more, get in touch with our friendly team today. We decided to purchase the Bevan21 for the trunking role because it met all of our operational and environmental criteria.